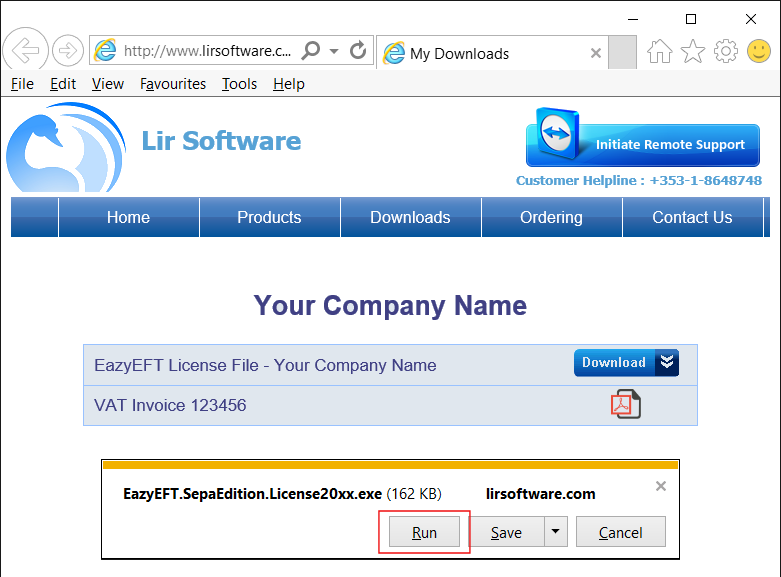 If you are using Microsoft Internet Explorer as your browser, follow the steps below to install your EazyEFT License file. If you are using a different browser then please click on the appropriate icon above. 1) If EazyEFT is currently running on your machine then please exit out of it, otherwise your license file will NOT install correctly. 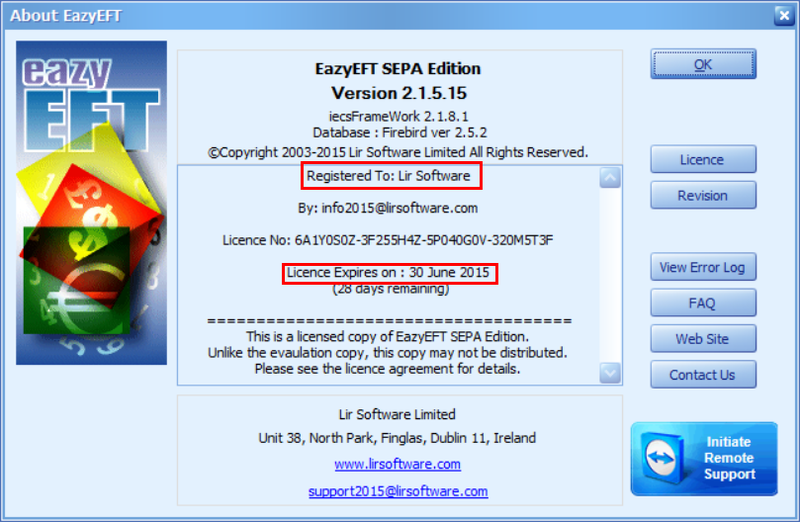 3) Now click on the 'EazyEFT License File - Your Company Name' download button (as highlighted above). 4) If prompted to Run or Save, click on Run (as shown below) and then just follow the on screen prompts. 5) Once the installation is complete, log in to EazyEFT as normal. Now click on the About button at the bottom right hand corner of the screen. 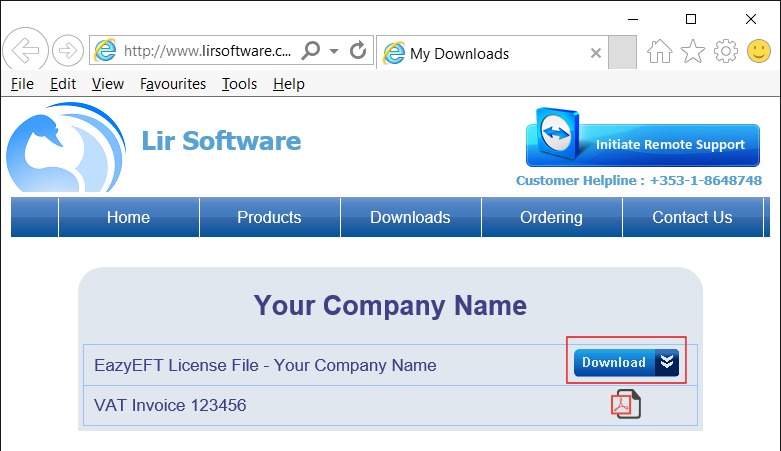 Check that both the 'Registered To' and the 'License Expires On' date are displayed correctly (similar to the example below). 6) If you have EazyEFT running on more than one machine, then you will need to repeat the above steps on ALL machines currently running EazyEFT. If having followed the above steps and you are still having an issue installing your license file, then please contact our Customer Helpline number above.